Spring is the ideal time to add fresh greens into your diet. We can think about hundreds of recipes for Spring but before all that lets juice greens as a way of showing our bodies, that we are creating space for the new stuff. Juicing is an easy and simple way of releasing any of the heaviness of Winter and prepare our bodies for a fresh new start. 8 stalks of celery, 2 green apples, fistful parsley (great for alkalizing your body), 1/2 tsp od cardamon powder, 1 tbs of hemp seeds and 1 tsp of spirulina. 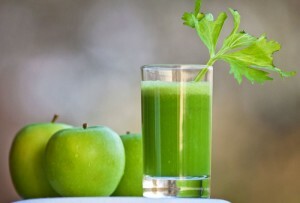 Turn the juicer on and juice 4 stalks of celery first, then do parsley, then apples and in the end add the powdered spirulina and hemp seeds. Drink fresh!